Skagit lines/heads are short and heavy to facilitate casting large weighted flies for all species of anadromous salmonid fish. Most Skagit lines are shooting heads equipped with a sinking tip and shooting line. Some Skagit lines have been made all in one piece with an integrated shooting line, body and sinking tip. The term “Skagit Line” is attributed to Ed Ward, who was a fly fishing guide on the Skagit River in Northern Washington. 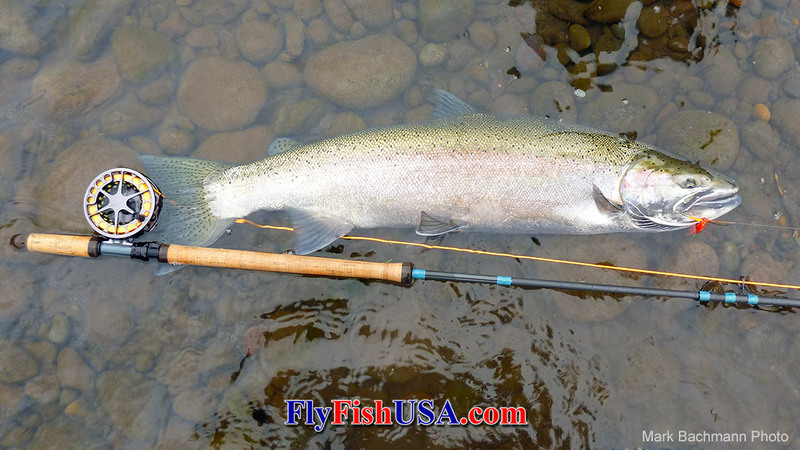 On the Spey Pages discussion group, he was describing a new form of fishing with two-hand rods for winter steelhead. He called it Spey casting. An angler from the British Isles challenged Ed and said that his approach wasn't really traditional Spey casting, so Ed, who tries to get along with everyone said, "Okay, then we'll call it Skagit casting." The terminology stuck in the form of Skagit casting, and Skagit lines. There are now companies marketing special flies, leaders, tying material, etc. using the term Skagit and even pure Skagit. Harry Lemire modified a Cortland weight forward saltwater line into a short, belly weight-forward changeable-tip line to fit his two hand fly rod. Trey Combs noted this line in his great 1990 book “Steelhead Fly Fishing.” Many people started copying that line. And many innovations resulted purely from the result that they couldn’t obtain the same Cortland line that Harry used. They couldn't get the Cortland line because Mark Bachmann, co-owner of the The Fly Fishing Shop in Welches, Oregon, who in conjunction with the Cortland rep, Randy Sholes, had made a deal for all of those lines. Those lines had been designed and ordered by some European customer, who then refused delivery and Cortland had been sitting on them for more than a year. They were very glad to be rid of them. When the front taper was removed at the .070” diameter, the head of this line weighed about 550-grain. The head portion of the line measured about thirty feet long. Eleven weight Cortland full sinking shooting heads were cut into 12’ lengths for sinking tips. These, and severed tips from the original front taper, were loop to loop connected to the main line. And with a 12’ sinking tip installed, the head was around 42’ long. Young Brian Silvey was one of the first to cast and fish with it. He termed it “The Launcher Line.” We modified and sold the 144 lines we bought from Cortland over a two year period. During this same period, there were lots of other anglers who were cutting up fly lines and building modified lines to fish on their Spey rods. Ed Ward, Mike Kinney, Dec Hogan, and Scott O’Donnell were some of the major innovators, followed by hordes of others in search of the perfect steelhead line. 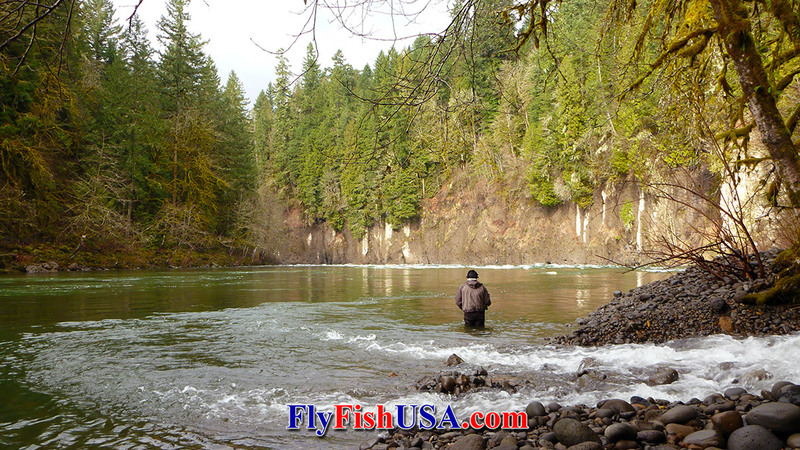 At the time, many anglers in the established fly fishing community were a pretty conservative lot, and didn’t readily accept this radical new Skagit style of fly fishing. There were a lot of discussions about whether real “gentlemen” were actually allowed to fish with such lines. After all, the most elite set of anglers had been fishing double taper lines for several generations. Was there any need to change? Jim Vincent, founder of the RIO fly line company, offered a solution. He built a changeable tip Spey line with a 54’ head, which was slightly less improper than the Launcher Line. Jim had a better business education and connections than the Launcher Line bunch. The raw material ran out for the Launcher, and the rest is history. Jim’s RIO line was called the WindCutter. It reigned supreme for a number of years. During this period, we bought WindCutters and modified them into Skagit lines and sold lots of them. Our sales numbers caught the attention of the RIO company and they built their own version of the Skagit line. The first models were integrated with a shooting line. Many anglers cut off the shooting line and attached monofilament shooting lines to get longer casting distances. RIO built a shooting head version of their Skagit line. The demand was instantaneous. Eventually, many other companies copied the Skagit line shooting head concept. Today it is still evolving. Short Skagit heads are becoming popular for fishing areas where there is very little back-cast room. Short Skagit shooting heads like the OPST Commando are offered in lengths of 12' to 18'. These types of Skagit heads are very popular with trout and steelhead anglers who use single-hand or switch rods. “Traditional” (there’s that word again) Skagit shooting heads had initially evolved with longer salmon rods of 14’ -15’. The accepted ratio of line length had settled in at less than three times the rod length by 2000. By 2004, it was down to 30’. But in 2006, it was 27’. Then in 2008, the normal Skagit head length was around 22’ and stayed that way until around 2013. Now some Skagit heads are barely longer than the rods they will be used on. This change in Skagit head length was driven by the fact that two-hand rods were also evolving. With the advent of new rod building materials and more modern taper designs, rods were getting lighter in weight and shorter in length. My current favorite Skagit setups for local use incorporates 13’ #7 rods and 20’-22' heads. Original Skagit shooting heads were no more than chunks of other fly lines modified to serve the purpose of providing the weight necessary to cast big flies and heavy sinking tips. The thought was that these heads were too short to need stabilization. They were made from level lines, which are now commonly called "beer can" heads (because they didn't taper). It was a few years later that it was discovered that Skagit heads need to be tapered precisely because they are short. 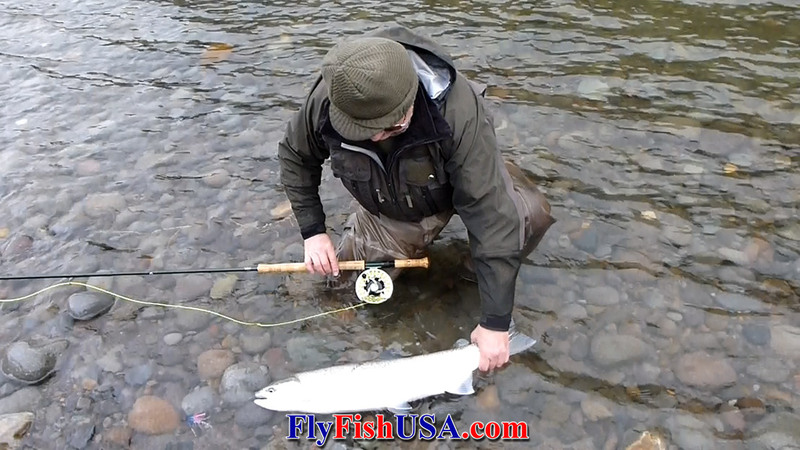 During a cast, all fly lines extend themselves while rolling down a loop. During that cast, forward momentum falls off quickly when the line is no longer “in the loop.” The longer the line remains in the loop, the further it can be cast. Tapered fly lines tend to stay in the loop a little longer than beer cans. To our knowledge, the Airflo Skagit Compact was the first commercially available tapered Skagit head. It is now in its second generation and is offered from 450-grains to 750-grains. Now most standard Skagit heads are tapered and range in lengths from 19’ to 28’. There are head lengths to match rods from 11’ through 15’. Having the right length of line to fit the length of your rod is important.